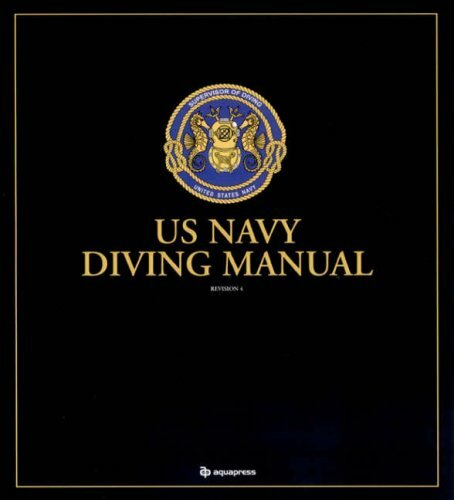 For twenty years the "US Navy Diving Manual" has been the ultimate reference source for the diver. AquaPress are pleased to announce the publication of the 5th version of the "US Navy Diving Manual". "The US Navy Diving Manual" is now available for the first time as a complete book. Potential readers may feel challenged by the sheer size of the work. At 968 A4 pages this book is unsurpassed in technical detail and depth. As the ultimate diving reference work this book contains everything you ever wanted to know about diving and many aspects that you could never imagine! The manual is however surprisingly easy to read. One of the reasons for this is that the manual is actually made up of five individual books or volumes.The volumes are as follows: Volume 1: Diving Principles and Policies; Volume 2: Air Diving Operations; Volume 3: Mixed Gas Surface Supplied Diving Operations; Volume 4: Closed Circuit and Semiclosed Circuit Diving Operations; and, Volume 5: Diving Medicine and Recompression Chamber Operations. These volumes mean that despite the books size the individual volumes make for user friendly reading. Each section has been extensively researched and is widely regarded as the technical standard for diving information and procedures. The manual is easily referenced and used internationally by recreational, commercial, and military divers because of its authoritative and approved procedures. This 5th Revision contains the most up to date decompression tables, and techniques for avoiding decompression sickness. This manual is a must for all serious divers.